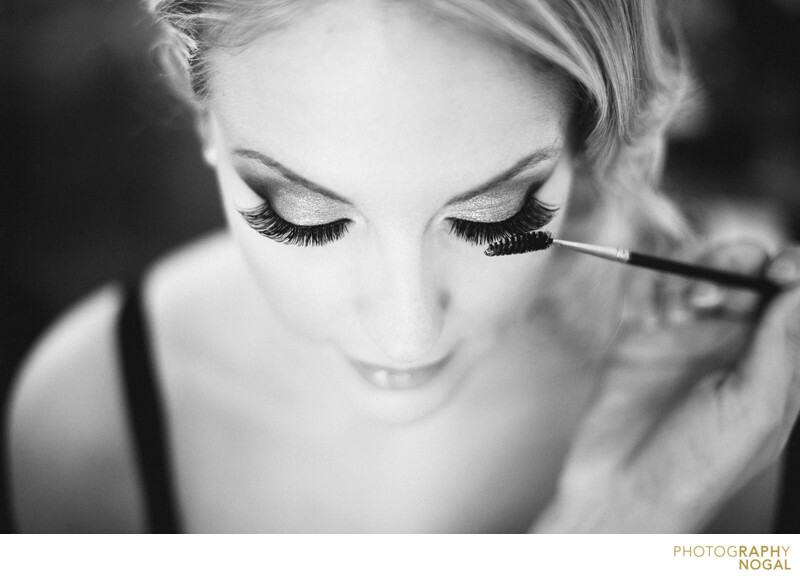 I simply loved the Bride's lashes. During the getting ready portion of the wedding day, I asked if I could squeeze in between the Make Up Artist and the Bride. I wanted a shallow depth of field to really focus the viewers attention of the lashes. The black and white treatment of the photograph really captures the classic look of the Bride and pulls your attention to the gorgeous lashes.